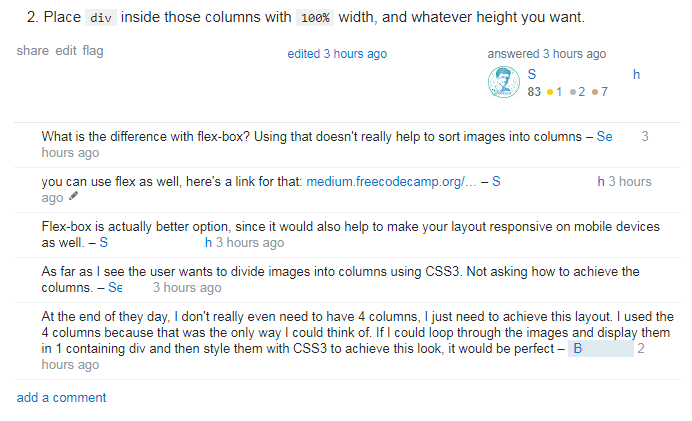 Can we do something similar for the user commenting on his/her own answer? I think this would be useful to, for example, see what are the points the person is making in the comments, to complement their own answer. You would mentally associate the comment to the person who gave that answer without having to look at the username, like you do when the author of the question is highlighted. So, I made a userscript (based on this answer) in case someone wants to try it on any of the Stack Exchange sites. Should I comment on changes that I made to my answer or not? Is there a way to autocomplete @username without typing the whole thing? 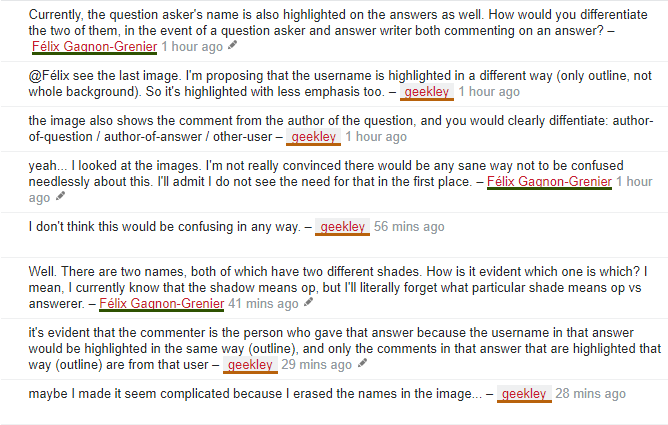 Is it OK to ask a person to accept a different answer because it is more up to date than the current one?